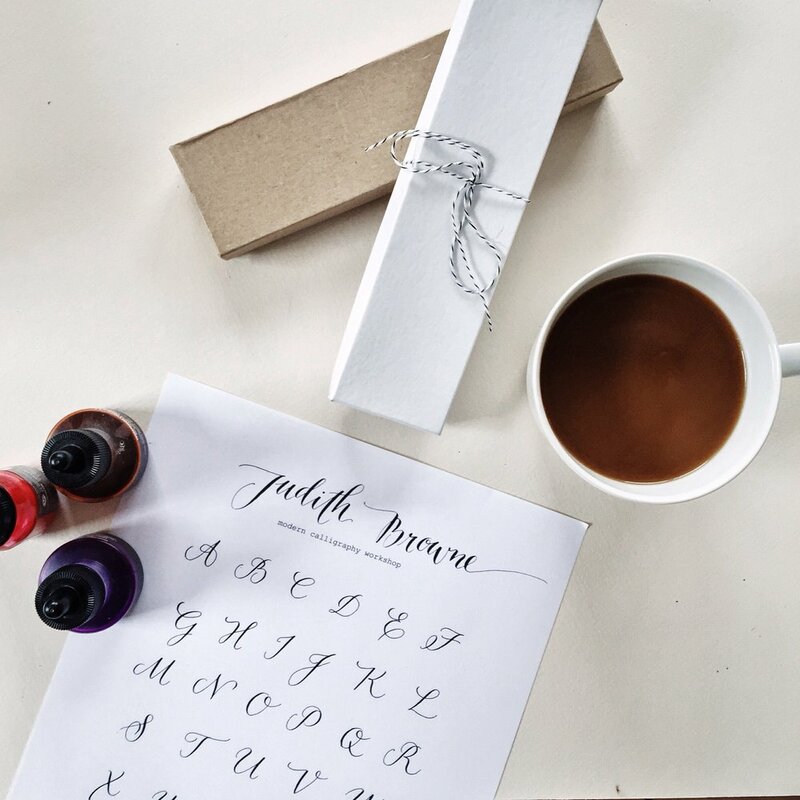 During 2019 we will be offering beginners and intermediate modern calligraphy workshops and new faux calligraphy workshops! Sign up for the newsletter to be the first to hear about them. Join me for a morning of pointed pen calligraphy. I will be teaching my basic modern calligraphy alphabet and we will work towards creating a small framed piece of lettering for you to take home. This course is suitable for absolute beginners or people with a little experience and everyone will receive a beginner’s calligraphy kit. The workshops are held in my studio in the south hills and places are limited so that everyone gets plenty of attention. The cost…….$100 and includes a complete calligraphy kit . You don’t need to bring anything except yourself.